Donald D. Vanarelli, Esq. represented the plaintiff in a seminal elder law / guardianship case entitled In re Keri, 181 N.J. 50 (2004). 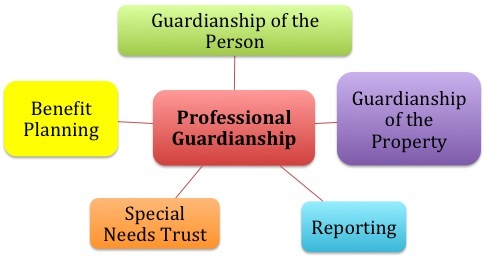 In Keri, an adult child sought guardianship of his mother and her estate and proposed to gift some of her assets to himself and his brother so that mother could qualify for Medicaid while in a nursing home. Reversing lower court decisions, the state Supreme Court ruled, for the first time, that the mother’s assets could be transferred to her children as part of an estate plan to help her qualify for government nursing home benefits. This ruling was characterized by the Star Ledger newspaper as having “broad implications for those with elderly relatives suffering from Alzheimer’s and other kinds of dementia…”. The concept of “Medicaid planning,” involving the strategic transfer of assets aimed at hastening an individual’s eligibility for Medicaid, has been viewed as a prudent estate planning technique by which an individual may preserve assets for his or her loved ones. As a result of the Appellate Division decision in Keri, however, the right of an incapacitated person to engage in Medicaid planning through his or her guardian was called into question. 356 N.J. Super. 170 (App. Div. 2002). In reversing theKeri appellate court, the NJ Supreme Court eliminated any question as to the continued viability of Medicaid planning as an estate planning tool for guardians. Whereas the Appellate Division had refused to presume that a reasonable competent person would engage in Medicaid planning (and instead directed that subjective proof of a ward’s preference to engage in Medicaid planning be demonstrated), the Supreme Court agreed with New York’s presumption in favor of Medicaid planning, finding that “‘a competent, reasonable individual … would prefer that his property pass to his child rather than serve as a source of payment for Medicaid and nursing home care bills. '” 181 N.J. at 63 (quoting In re Daniels, 618 N.Y.S.2d 499, 504 (Sup. Ct. 1994)). when a Medicaid spend-down plan does not interrupt or diminish a ward’s care, involves transfers to the natural objects of a ward’s bounty, and does not contravene an expressed prior intent or interest, the plan, a fortiori, provides for the best interests of the ward and satisfies the law’s goal to effectuate decisions an incompetent would make if he or she were able to act. 181 N.J. at 61-62. Thus, instead of barring Medicaid planning by a guardian unless there is evidence that the ward, while competent, expressly indicated a preference to engage in Medicaid planning, our Supreme Court adopted the framework established in the Trott decision, whereby it is presumed that Medicaid planning is in the ward’s best interests unless there is “substantial evidence that the incompetent, as a reasonably prudent person, would, if competent, not make the gifts proposed….” 181 N.J. at 58, 63 (quoting Trott, 118 N.J. Super. at 442-43). (1) the mental and physical condition of the incompetent are such that the possibility of her restoration to competency is virtually nonexistent; (2) the assets of the estate of the incompetent remaining after the consummation of the proposed gifts are such that, in the light of her life expectancy and her present condition of health, they are more than adequate to meet all of her needs in the style and comfort in which she now is (and since the onset of her incompetency has been) maintained, giving due consideration to all normal contingencies; (3) the donees constitute the natural objects of the bounty of the incompetent by any standard…; (4) the transfer will benefit and advantage the estate of the incompetent …; (5) there is no substantial evidence that the incompetent, as a reasonably prudent person, would, if competent, not make the gifts proposed…. 181 N.J. at 59-60 (quoting Trott, 118 N.J. Super. at 442-443). The Keri Court characterized this last criterion as “a subjective test with a high evidentiary burden to rebut substituted judgment: that ‘there is no substantial evidence’ the ward, ‘if competent,’ would not approve a Medicaid spend-down plan.” 181 N.J. at 59. In addition to adopting the clearly articulated standards set forth in Trott, Chief Justice Poritz provided a careful analysis of those criteria as they applied to Keri. After concluding that Mrs. Keri’s mental status satisfied the first criterion, the Court found that the second criterion was met, given the proposed spend-down plan, coupled with the fact that nursing home placement was necessary and that federal and state law prohibits discrimination of nursing home residents on the basis of Medicaid pay status. 181 N.J. at 64. The Court found that the proposed donees of the spend-down plan were the objects of the ward’s bounty, thus satisfying criterion three. Because the proposed plan would benefit the ward’s estate, criterion four was met. The Court also found that the guardian had satisfied the fifth criterion. Although it recognized Mrs. Keri’s preference to remain in her home, rather than a nursing home, the fact that the only source to pay for in-home care was the house itself resulted in “a veritable ‘Catch-22’.” 181 N.J. at 65. Moreover, because her dementia had resulted in increasingly difficult behavior, the Court noted that in-home care might not have been feasible. The Supreme Court concluded that there is “simply nothing in the record to suggest” that Mrs. Keri would have disapproved of the Medicaid planning proposal. 181 N.J. at 65. Disqualifying those individuals from receipt of asset transfers on conflict of interest grounds prevents the use of substituted judgment in the majority of cases because, if not disabled, incompetent persons most likely would transfer their assets to their guardians. 181 N.J. at 66-67. 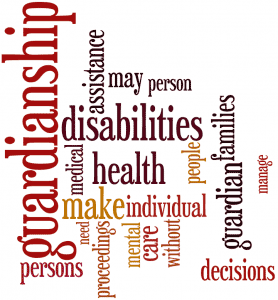 With the future of Medicaid planning by guardians on firm legal footing, elder law practitioners may proceed with confidence in utilizing this valuable estate planning tool on behalf of their clients. For additional information regarding In re Keri, a Key New Jersey Supreme Court Elder Law Case, call us at 908-232-7400 or click here to contact us online.